Gall, Gerald L.. "Québec Referendum (1995)". The Canadian Encyclopedia, 10 March 2016, Historica Canada. https://www.thecanadianencyclopedia.ca/en/article/quebec-referendum-1995. Accessed 23 April 2019. The failure of the Meech Lake Accord and the Charlottetown Accord left considerable uncertainty about the constitutional future of Canada. The first sign was a dramatic change in the political landscape of the House of Commons following the 1993 election. The Progressive Conservative Party, associated with former Prime Minister Brian Mulroney and the failed accords, was virtually wiped out. While the federalist Liberals under Jean Chrétien won a majority, the opposition was fractured along regional lines, between the western-based Reform Party of Canada and the avowedly separatist Bloc Québécois, which formed the Official Opposition. The rest of Canada was tired of constitutional matters. However, the alienation of Québec, attributable in part to the poisoned atmosphere following the debate over distinct society, brought the separatist Parti Québécois (PQ) back into power. 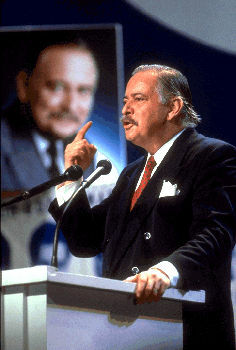 Premier Jacques Parizeau promptly promised that a referendum on Québec separation would be held some time during 1995. In preparation for the referendum, draft legislation was prepared and a series of public consultations were held. The referendum was originally scheduled for the spring of 1995 but was delayed until 30 October 1995. The question posed in the referendum read as follows: "Do you agree that Québec should become sovereign, after having made a formal offer to Canada for a new economic and political partnership, within the scope of the Bill respecting the future of Québec and of the agreement signed on 12 June 1995?" The Bill referred to in the question was Bill 1, An Act respecting the future of Québec (Loi sur l’avenir du Québec), which included a declaration of sovereignty in its preamble and the agreement of 12 June 1995, was the text of the agreement between the Parti Québécois and the Action démocratique du Québec (the ADQ) ratified by Premier Parizeau, Lucien Bouchard (leader of the Bloc Québécois) and Mario Dumont (the leader of the ADQ). The referendum itself was conducted under the provisions of the Québec Referendum Act. At the beginning of the referendum campaign, the so-called "No" side (opposed to separation) had a substantial lead in the polls. But as the campaign progressed, and particularly when Lucien Bouchard took over the leadership of the "Yes" side from Parizeau during the final three weeks of the campaign, the "Yes" side gained momentum. Ultimately, after an emotional and somewhat controversial campaign, the "No" side achieved victory by a narrow majority of 50.58 per cent. Following the vote, there was considerable controversy relating to the counting of the ballots (because of the large number of "spoiled" ballots), the enumeration of eligible voters and other concerns. Parizeau resigned and Bouchard assumed the leadership of the Parti Québécois and became premier of Québec. 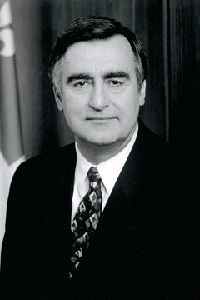 He had announced, prior to becoming premier, his intention to conduct another referendum on separation in 1997. During the final days of the campaign, federal politicians announced their intention of meeting some of Québec’s concerns. For example, Prime Minister Chrétien said that he would take steps toward recognizing Québec as a "distinct society" and guaranteeing Québec a de facto veto over constitutional changes. Chrétien created a special Cabinet committee to formulate a new constitutional proposal. The proposal that emerged, primarily designed to address Québec's long-standing concerns, provided for three non-constitutional initiatives to be enacted by the House of Commons. The first initiative, in the form of a motion in the House of Commons, would recognize Québec as a distinct society within Canada (i.e., a society characterized by the French language, its unique culture and a civil law system). The motion was adopted by Parliament. A second initiative would grant a veto to the Western region, the Atlantic region, Ontario and Québec over all future constitutional changes to national institutions such as the Senate, the creation of new provinces and any amendments regarding the distribution of powers. That is, such constitutional changes would require the consent of any two of the four western provinces, provided the two provinces constituted 50 per cent of the population of the West, and any two of the Atlantic provinces, provided the two provinces constituted 50 per cent of the population of the Atlantic region, as well as Ontario and Québec. At the insistence of British Columbia, this was changed so that BC became a separate region and would have a veto over major constitutional change. The Prairie provinces would also have a veto, in that consent would now be required of any two Prairie provinces, provided the provinces constituted 50 per cent of the population of the Prairie region. Demographically, this in effect gives the province of Alberta a veto. Under the third initiative, the federal government would give up any role it plays in labour/market training, apprenticeship programs, co-operative education programs and workplace-based training, thus allowing the provinces to assume this responsibility. The Calgary Declaration, which was presented for discussion in 1997 by all the provincial premiers except Québec’s, recognized the unique character of Québec society, but added the condition that all the provinces would be equal and would receive whatever was given to Québec by virtue of the interpretation of the “distinct society” clause. All the provincial legislatures adopted the Calgary Declaration except Québec’s National Assembly. None of these initiatives promised an end to Canada's constitutional uncertainty, particularly with the prospect of another referendum in Québec. This uncertainty led to litigation in the courts as to the legal rules regarding the rights of a province to secede, under domestic constitutional law and under public international law. In 1998, the Supreme Court of Canada ruled that Québec does not have the right to unilaterally secede from Canada. Nonetheless, the nine justices expressed the opinion that the other provinces and Ottawa would be obliged to enter into negotiations with Québec if voters in Québec unequivocally expressed their desire for independence by a clear majority (see Reference re Secession of Quebec). On 29 June 2000, the Governor General gave Bill C-20 (commonly referred to as the Clarity Act) royal assent. The Bill was presented by the Chrétien government in response to the Supreme Court’s Québec Secession Reference, which stipulates that "political actors" are responsible to determine what, among other things, constitutes a clear question and a clear majority, and that, following a referendum, a province or territory can initiate its secession from Canada. When a Liberal government was elected in Québec in 2003, the PQ and the question of separatism were put on the back burner until the PQ’s return to power under Pauline Marois in 2012. At that juncture, however, Québec sovereignty was again put on hold due to the government’s minority standing — the PQ with 54 seats, the Liberals 50, Coalition avenir Québec with 19, and Québec solidaire with 2 seats. Though the centre-left Québec solidaire also stood for Québec independence, the party contributed to the division of the sovereigntist vote. 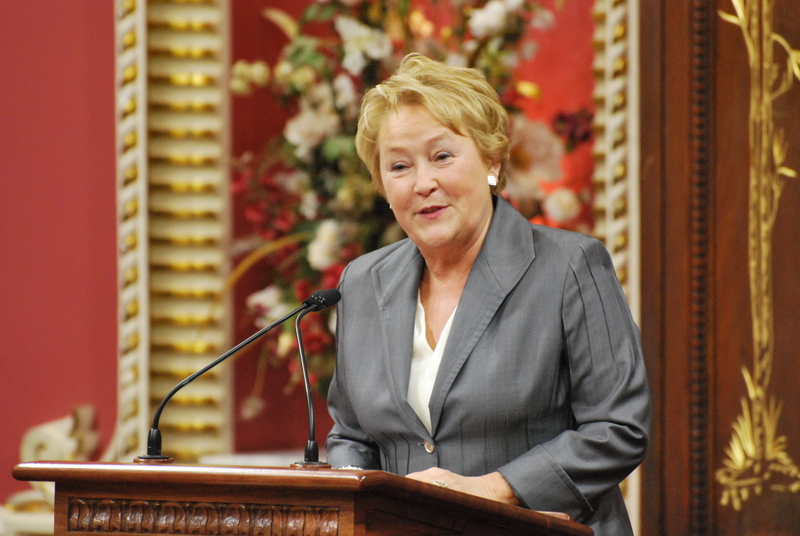 Confident that a majority of seats could be won, Marois called an early election in spring 2014 — just 18 months after the minority PQ government had formed. At the beginning of March, the announcement of Pierre Karl Péladeau’s candidacy and his profession of faith in Québec independence rekindled the debate concerning a possible third referendum. The PQ, ahead in the polls at the beginning of the campaign, was relegated to the Official Opposition after the election. The Quebec Liberal Party led by Philippe Couillard came to power, and the independence project was again dropped from the political agenda. See also Constitutional Law; Constitutional History; Québec Referendum (1980). Chantal Hébert (with Jean Lapierre), The morning after. The 1995 Québec Referendum and the day that almost was (Knopf Alfred A, 2014). Jacques Parizeau, An Independent Québec. The Past, the Present and the Future (Baraka Books, 2010). Assemblée nationale du QuébecThe official website for the Assemblée nationale du Québec.